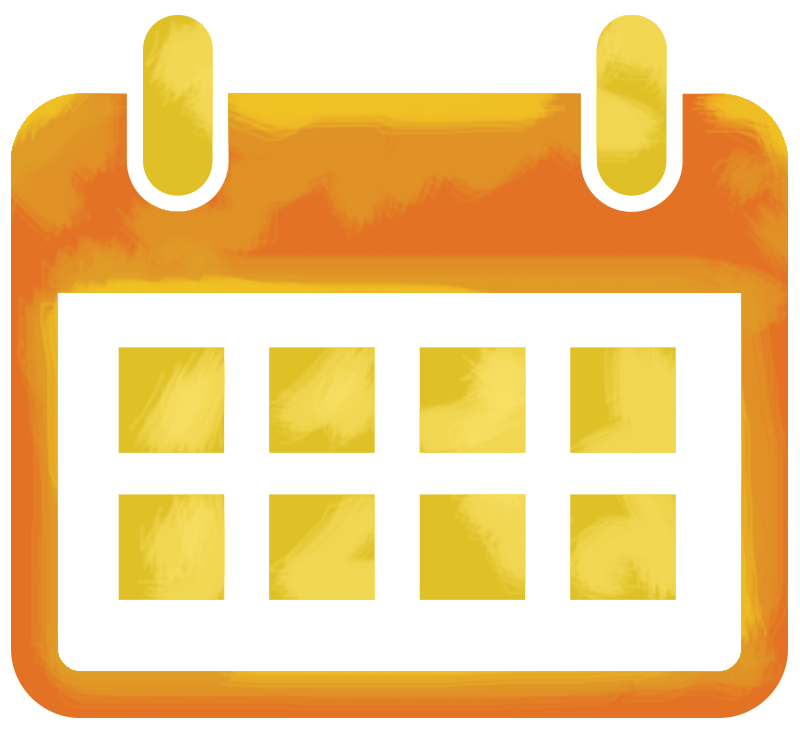 Find the Children First 2018 2019 and 2019 2010 annual calendars here. an informal visitation and information session for early childhood professionals. 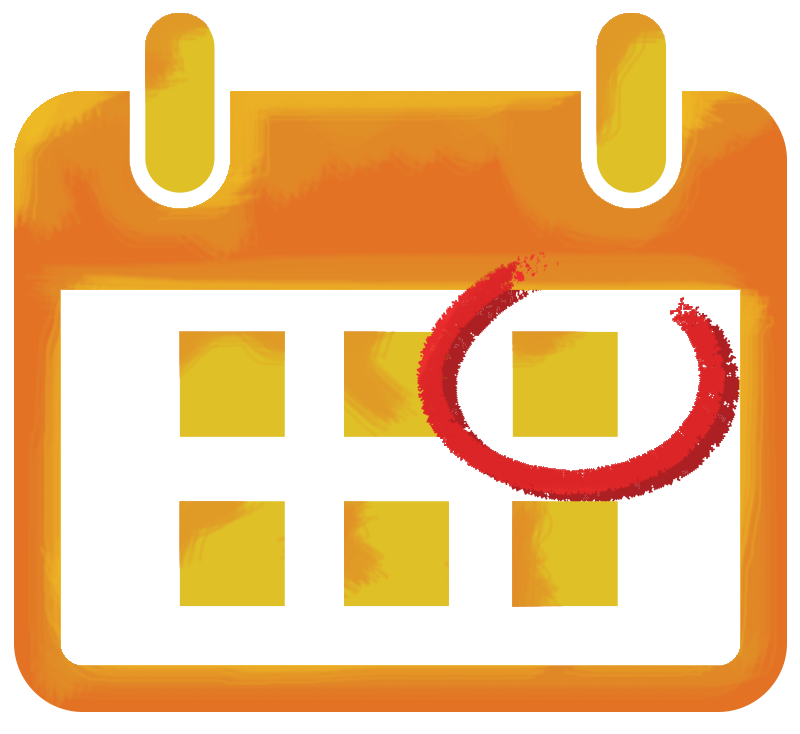 Children First teachers will present a brief overview of the Children First philosophy and curriculum, then be available for one on one consultation. Both the indoor and outdoor classrooms will be set up for exploration of materials, and you may take photographs if you like. Children’s portfolios will be available for study. Participants who pre-register are encouraged to share their questions and interests so we can better prepare for their visit. Next Open House for Prospective Families is Saturday October 26 2019 9am to 12pm. Come explore our environment, browse portfolios, eat some snacks, and meet Children First teachers and parents. Children welcome! 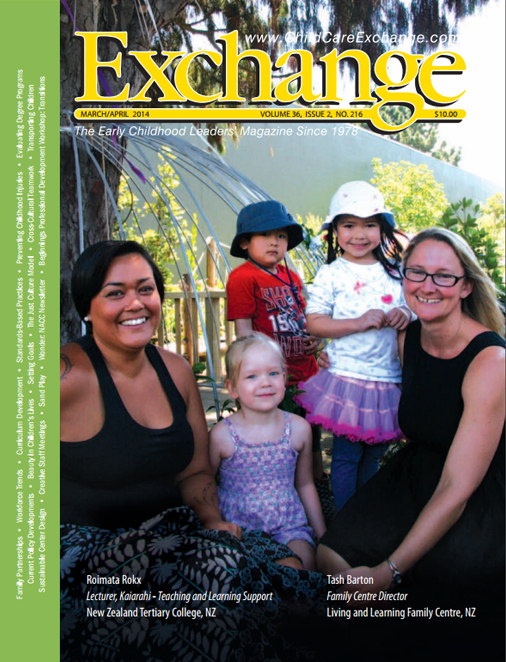 Children First is featured in the March/April 2014 issue of Exchange, a journal supporting early childhood professionals worldwide in their efforts to craft thriving environments for children and adults. See the article “A Graduation Story” by Donna King. 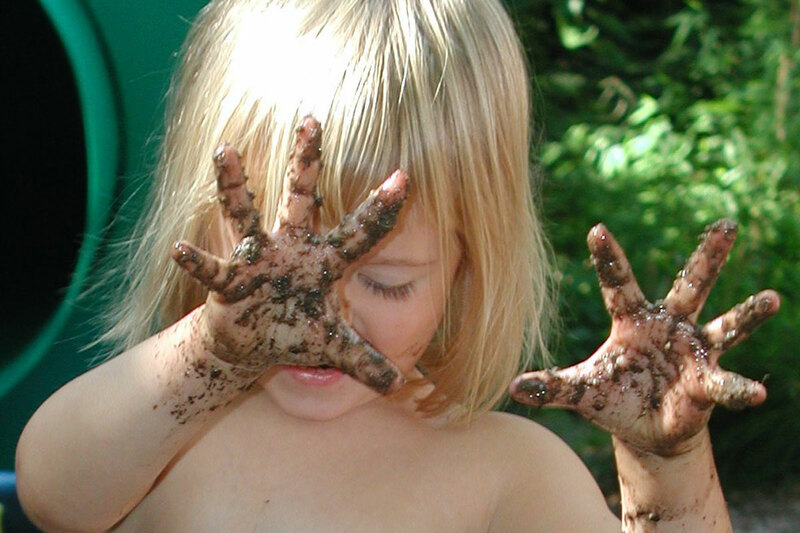 Children First was featured in the November 2012 issue of Exchange, a journal supporting early childhood professionals worldwide in their efforts to craft thriving environments for children and adults. 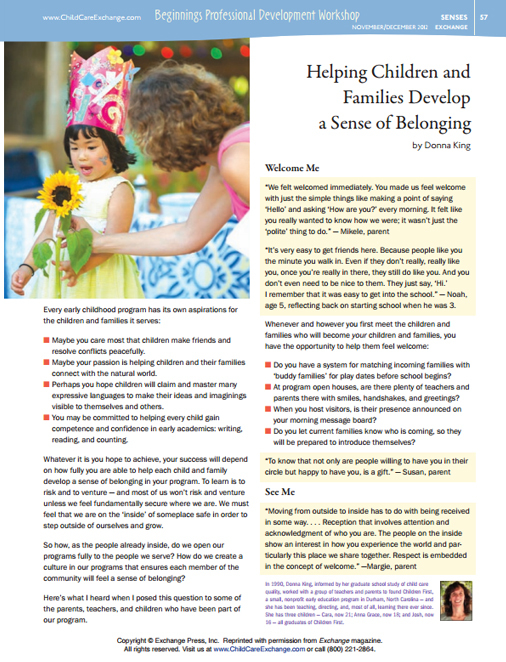 See the article “Helping Children and Families Develop a Sense of Belonging” by Donna King. Or see a longer version of the article that includes more examples from the classroom, and more words from Children First parents and kids: A Sense of Belonging. 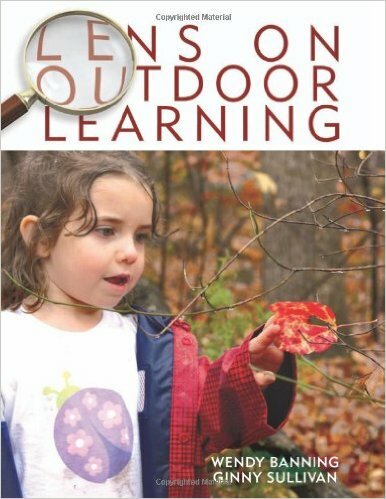 Children First is proud to be one of the early childhood programs featured in a wonderful book by Ginny Sullivan and Wendy Banning called Lens on Outdoor Learning.